Spa makes all of us hungry, so we went back to our hotel and prepped up for dinner. Since our hotel is situated along Abanao Street, we can never miss to experience one of our favorites; which is located very near where we were staying, Good Taste Restaurant Baguio. We ordered dinner and it was a feast. The best thing about this restaurant is its affordability and big serving. 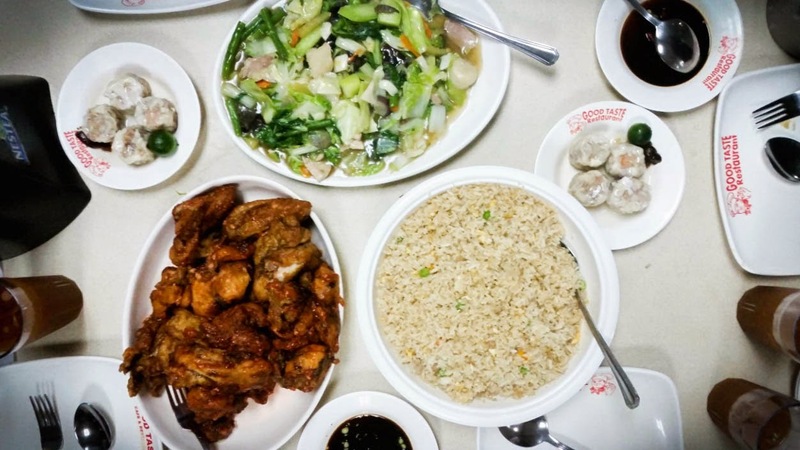 We had to get their famous buttered chicken, Yang Chow fried rice and lechon chop suey with pork siomai on the side. Not only they serve good food its so affordable... Isa sa mga resto na pasok sa budget! The best part of my business trip up north last year. :3 Let's gooooooo and eat! Baguio is indeed a food trip place for me.